Seventy-five years after the discovery of the living coelacanth by Marjorie Courtenay-Latimer off East London, marine researchers, managers and policy makers from around the country gathered to celebrate the impact of this discovery on marine science in South Africa. In his opening address, Dr Thomas Auf der Heyde, Deputy Director General (DDG) of the Department of Science and Technology (DST), compared the significance of the discovery to the first human heart transplant and other seminal events in the way that it has shaped the science landscape in its field in South Africa. The original discovery in 1938 put South Africa on the map in terms of Ichthyology. 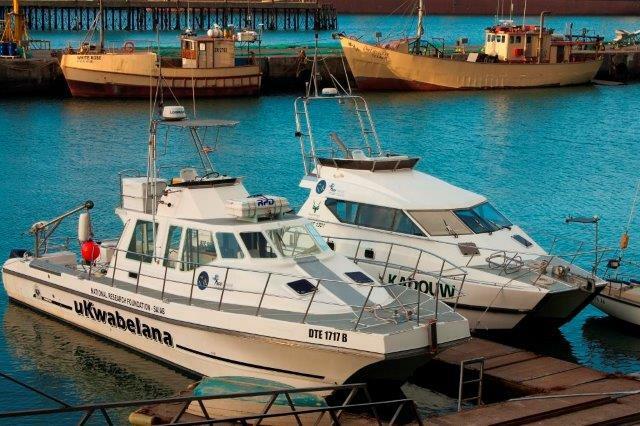 The re-discovery in South Africa in 2000 off Sodwana Bay then led to the formation of the African Coelacanth Ecosystem Programme (ACEP) which over the past 12 years has taken a multi-disciplinary, multi-institutional approach to ecosystem research and has expanded that legacy to other fields of marine science, encouraging collaboration and sharing of resources, knowledge and experience, proving that a whole is greater than the sum of its parts. 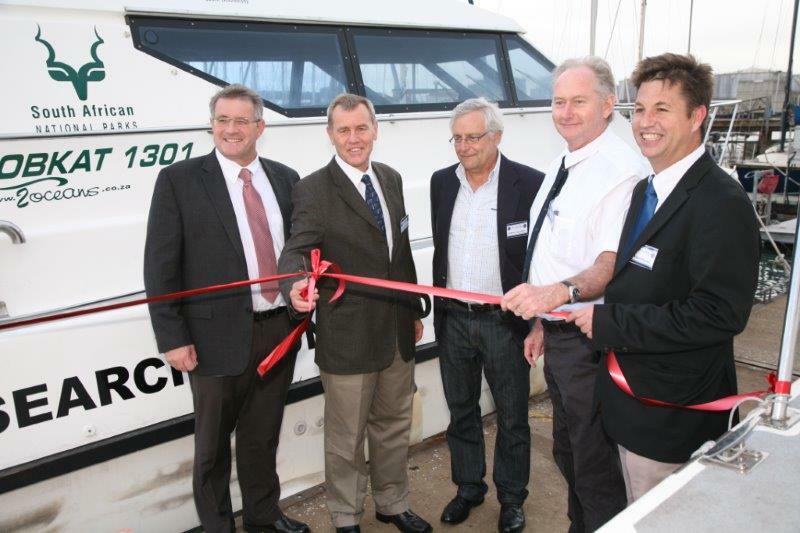 As ACEP grows and extends its reach we were able to use the event to welcome the South African National Parks Board (SANParks) on board with the handover of the research vessel Kadouw. This will certainly strengthen the ACEP platform, provide scope for growth and allow service to more partners from further afield. 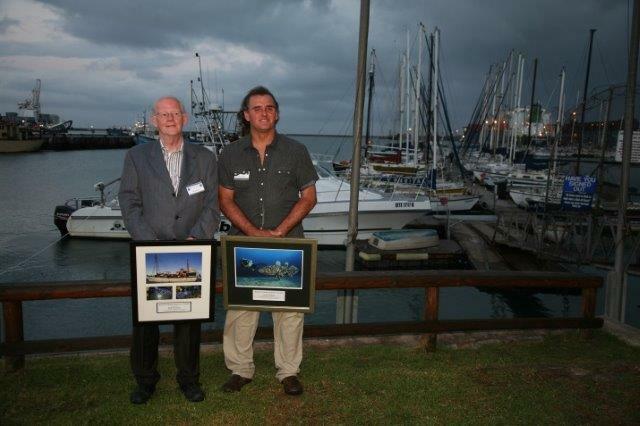 Two citizen science awards were presented on the evening to recognise the contributions of members of the public who have both played tremendous roles in coelacanth research nationally and internationally. Peter Timm, of Triton Dive Lodge, was on the team that discovered the South African coelacanth population off Sodwana in 2000 and has been diving with coelacanths regularly ever since. He has shared his knowledge with every coelacanth expedition to have taken place in the area. Rik Nulens from Belgium has, over the past 19 years, compiled a database of coelacanth literature and a catalogue, An updated inventory of all known specimens of the coelacanth, Latimeria spp. (Rik Nulens, Lucy Scott and Marc Herbin) of all known specimens, assisting over 120 researches world-wide and contributing to the Dinofish website. ACEP thanks them both for the work that they have done. ACEP and its partners used the opportunity to showcase the work that they have done and exhibited some of the highlights from the past 12 years including SAEON’s Sentinel Site, the ACEP Open Call and Phuhlisa programmes, the impact of the ASCLME, SAIAB’s Acoustic Telemetry Array Platform (ATAP), ACEP and SAEON’s outreach programmes and South African coelacanth research. SAIAB published a special publication, Building on the South African Coelacanth Legacy, to mark this seminal event.